No matter where in the world you travel, the first hybrid most people think of is the Toyota Prius. This model has come a long way from a somewhat boring yet efficient and practical model. Today, the Toyota Prius is engaging to drive and has all the features you expect from any other Toyota. The expansion of the Prius lineup means that there are numerous options, such as the spacious Prius v, the compact Prius c, and the Prius Prime plug-in hybrid. Once you factor in the various trim levels on each of these members of the Prius family, you have dozens of available models. The Toyota Prius maximizes efficiency with an active grille shutter, underbody panels, aerodynamic stabilizing fins, and hybrid powertrain, giving you as much as 58 mpg* in the city. At the same time, it is packed with features, and the latest Prius even comes standard with Toyota Safety Sense P for driver-assistive features. You will also enjoy features like bi-LED lighting elements within the headlights, available fog lights, a standard 4.2-inch Multi-Information Display, and an optional 7-inch touchscreen. What’s New for the 2019 Toyota Prius? When a car is as remarkably well equipped and cutting-edge as the Prius, it doesn’t have to undergo changes every year to keep up with driver desire. That’s the case with the 2019 Prius, which carries over from the 2018 model but continues to excel in all the ways hybrid car fans expect and love about this pioneering hybrid. With seven trims to choose from – One, Two, Two Eco, Three, Three Touring, Four, and Four Touring – there is bound to be a 2019 Prius model that is equipped just the way you want your car to be. And with value, comfort, and safety as three of the car’s driving forces, you will love everything the 2019 Prius has to offer. Turn to Warrenton Toyota when you’re ready to explore your options and learn more about the latest Prius’ equipment, safety, and technology features. Drivers in and around Fairfax and Culpeper, VA, trust us for all of their automotive needs, and after one visit, you will, too! The first Toyota Prius arrived in 2001 and was among the very first gas/electric hybrid models. It stood out with its fuel economy, feature-rich cabin, and elegant design. While the original Prius was excellent, Toyota added more options for the 2002 version, including side airbags, GPS, additional exterior colors, daytime running lights, and cruise control. The 2004 Prius was redesigned, growing in exterior dimensions, which led to an increase in interior room. It also got more power along with improved fuel economy and even more options. For 2005, a rear wiper became standard. 2006 saw a larger number of changes, including a new instrument panel, new darker seat fabric, updated taillights and headlights, and tire pressure monitoring. In 2007, the Toyota Prius got standard full-length head curtain airbags and front-seat side airbags to further improve its safety. The Prius was once again redesigned for the 2010 model year, including improved fuel economy, enhanced steering, more options, and a restyled interior. This third-generation model was able to get 51 mpg* for city driving and 48 mpg* on the highway, the only model in the country that had over 50 mpg* combined. It also had a 134 horsepower, a revised body shape for better aerodynamics and headroom, a multi-information display with monitors for energy and fuel consumption, and an optional sliding glass moonroof. In 2012, Toyota updated the trims and offered power seats for convenience. When you think hybrid, you think Toyota Prius. Drivers love this comfortable and highly efficient vehicle. 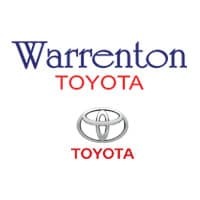 Start your shopping experience by viewing a range of different new, used, and certified pre-owned vehicles at Warrenton Toyota, right here in Warrenton, Virginia. Not only can our friendly staff answer all your questions, we can also help you with competitive financing rates offered right here at the dealership. Take care of your vehicle by visiting our certified mechanics over in the service center. Call or give us a visit today to learn more about your preferred model!